Sometimes I can be quite boring when comes to something that I really REALY like. 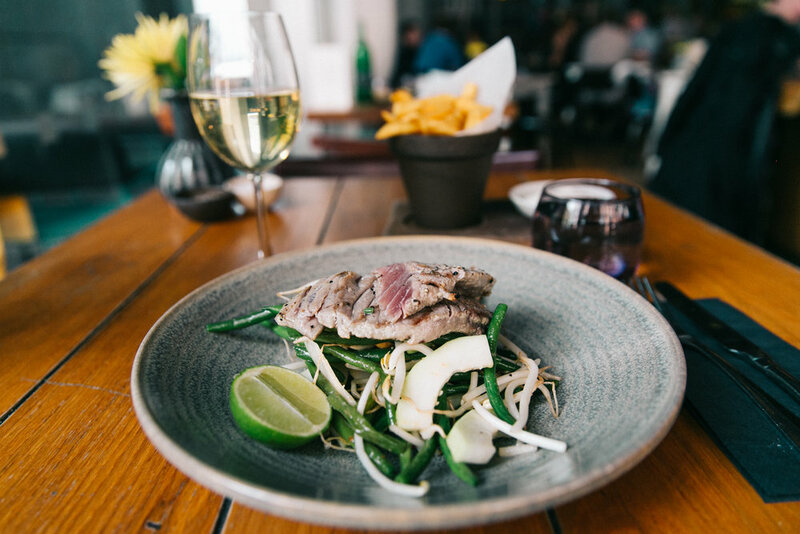 Like this amazing Chargrilled Tuna salat from place called The Refinery Bankside. I had this salat more then 15 times and must say all compliments to the chiefs there. Every time when I ordered this dish it was exactly the same like last time. Having it so many times I would noticed the smallest change. Compliments to manage to keep this salat exactly the same for so long and still delicious. ps. The chips on side is Roman fries.